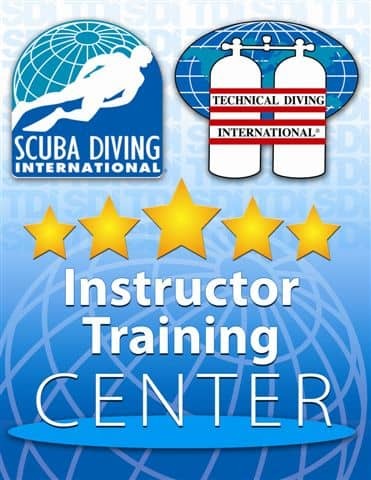 Our divecenter is an SDI Instrucor Training center. 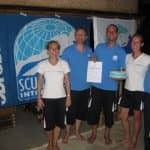 This means that we comply with highest quality standards and can teach diving students up to instructor level. You are not a scuba diver yet? What are you waiting for? If you are planning to come to Bali, this is the perfect opportunity for you to book your Open Water Diver course. The island of Bali is like being made for learning how to dive. Shallow reefs, warm and clear water, good visibility and colorful surroundings – that’s all you need to enjoy diving from the very beginning. Our divecenter and diving school offer the perfect setting for your initiation into diving as well as for advanced lessons. It is not difficult at all to become a scuba diver. If you are health and enjoy being in the water, you can easily learn how to dive within 3 – 5 days. During your lessons you discover wonderful divesites already. 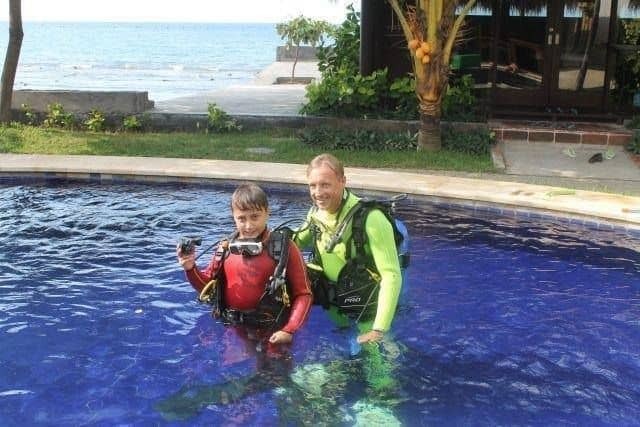 And the transition from lessons to pure fun diving is seamless and you will enjoy your underwater adventures very soon. 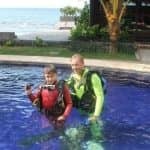 In order to teach diving with fun and safety, we need to be calm and relaxed. This is why we take as much time as we need. Nothing worse than hurry and group pressure. Every student is learning at his personal speed and we encourage to be easy and slow. We do not teach more than one or two students in entry level courses, so we are focussed and our lessons are tailormade. Any advanced diver education is increasing fun and safety under water. 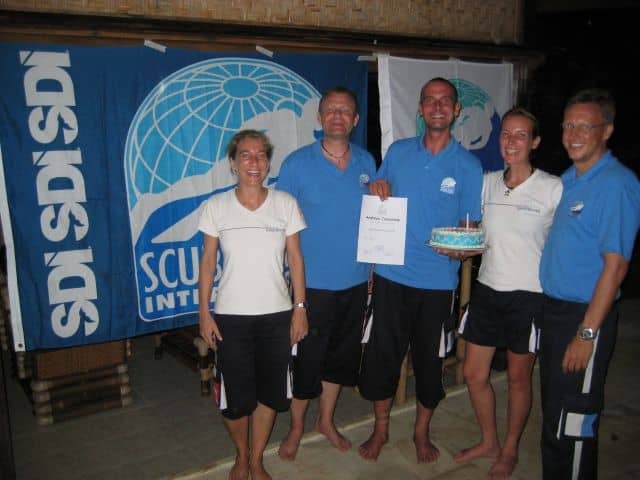 Be it the Advanced Divers’ Development program, a rescue diver course, or a speciality. The more you are in control of your dives the more you will enjoy. We encourage all divers who do not yet use Nitrox to get their certification soon, as diving with oxygen enriched air is safer and easier.